I have missed my Word Press family!! December sure has a way of eating up our time and money, doesn’t it?! We have had a very busy month in our house but a great one! Thankfully it is a gorgeous day here and all the kids are outside playing and I am going to take advantage and BLOG! Again, I did not use their frosting (icing) recipe, but you can and I am sure it’s equally delicious! One more detail about this cake. I purchased easy writers to write Congrats Bob and Christine and the date on the cake. They should be called difficult writes because they were anything but easy and it looked lousy when I was done! The date at the bottom was ok, so I left that, but fortunately I had a whole bunch of Christmas sprinkles and was able to cover over the easy writer letters with round sprinkles. I would never use the white sprinkles again as they don’t show up well, but it was far better and looked festive and cute! My advice is this. 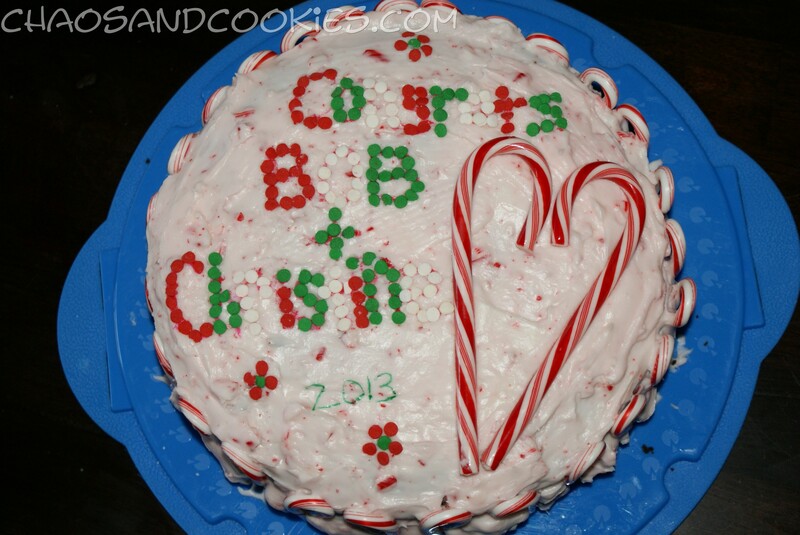 Just get your frosting decorating tool out with a writing tip and write with frosting! 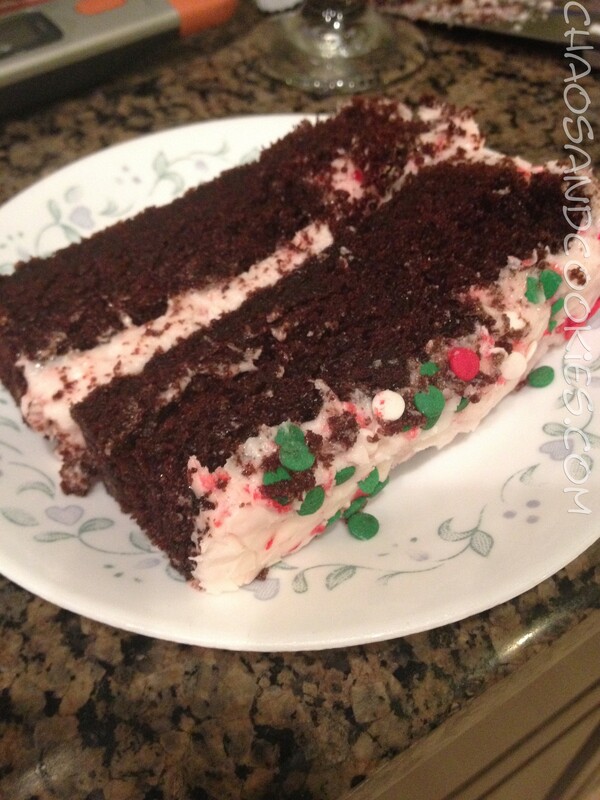 Here is the cake recipe I used as well as my frosting recipe! Please note that I used two 8″ round cake pans. This picture is dark but look at that beautiful batter! 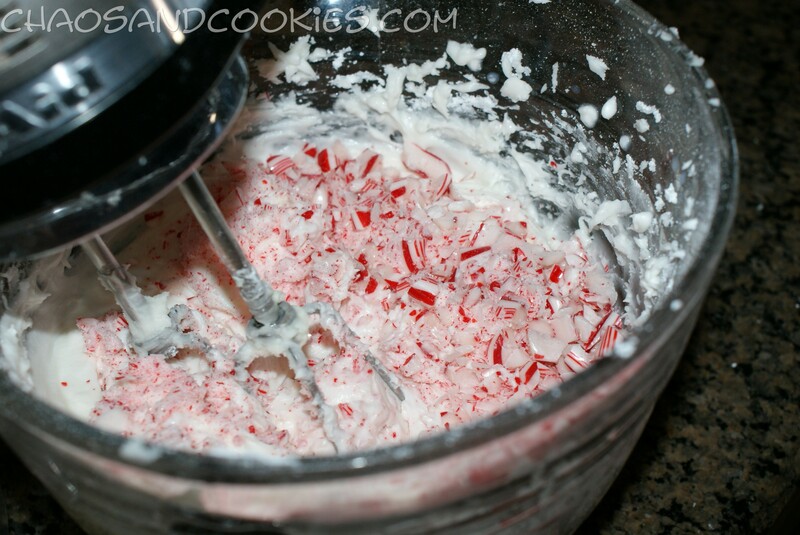 Place all of your frosting ingredients, except the candy canes, in a large mixing bowl. 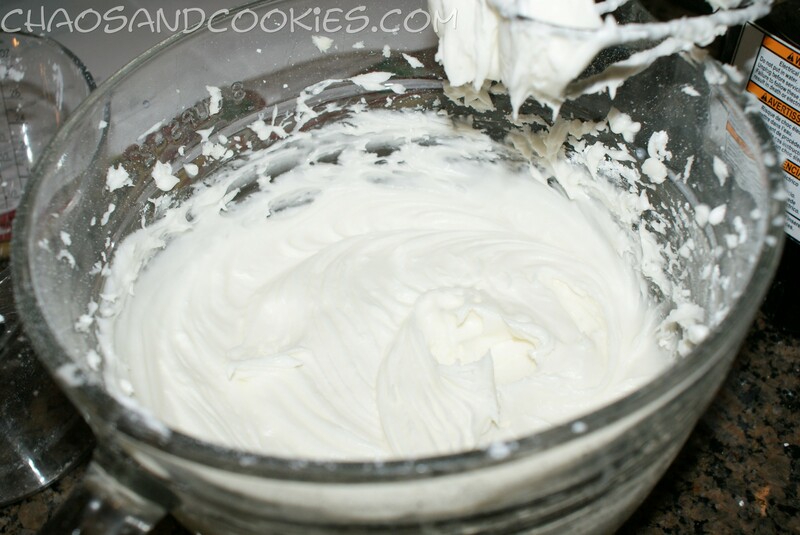 Mix with a hand mixer on medium speed until well blended and smooth. 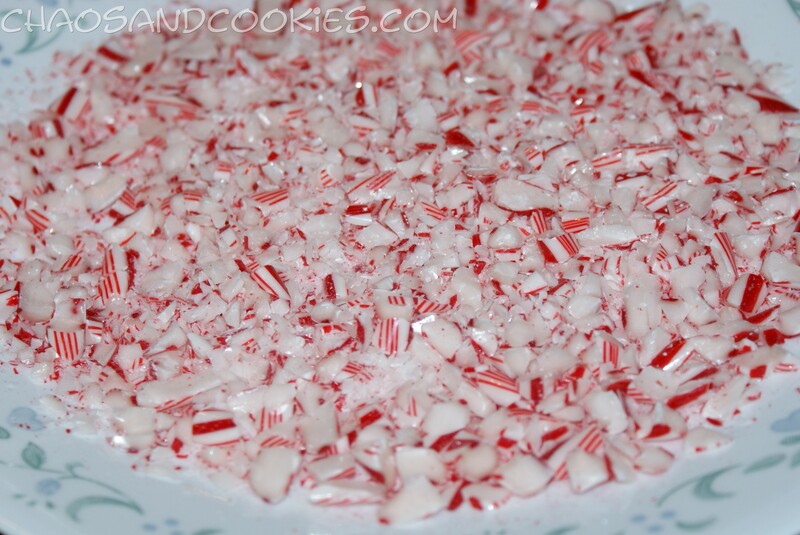 Add in the crushed candy canes and mix well again until mixed evenly into frosting. 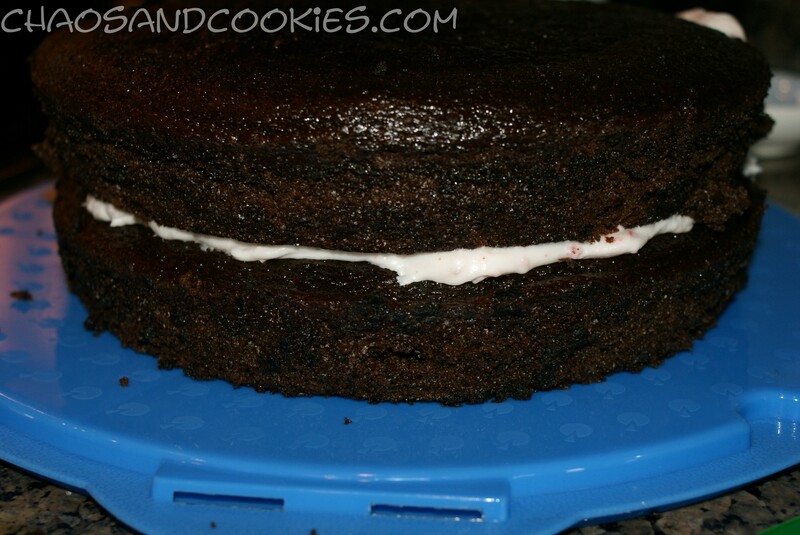 When the cake is completely cool, place a good amount of frosting on top of one of the cakes and spread evenly. Place the other cake on top of the frosted cake. 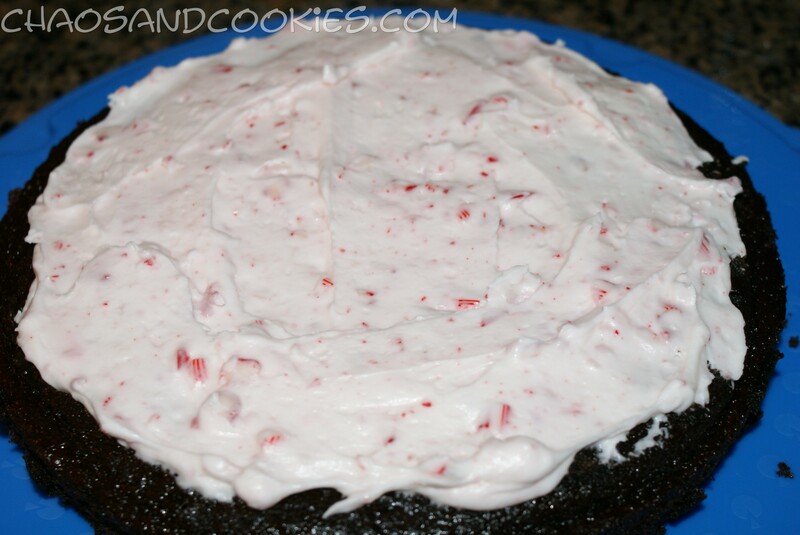 Now continue to frost the entire cake until it’s completely frosted all over. You can decorate however you choose, you can see how I did it! 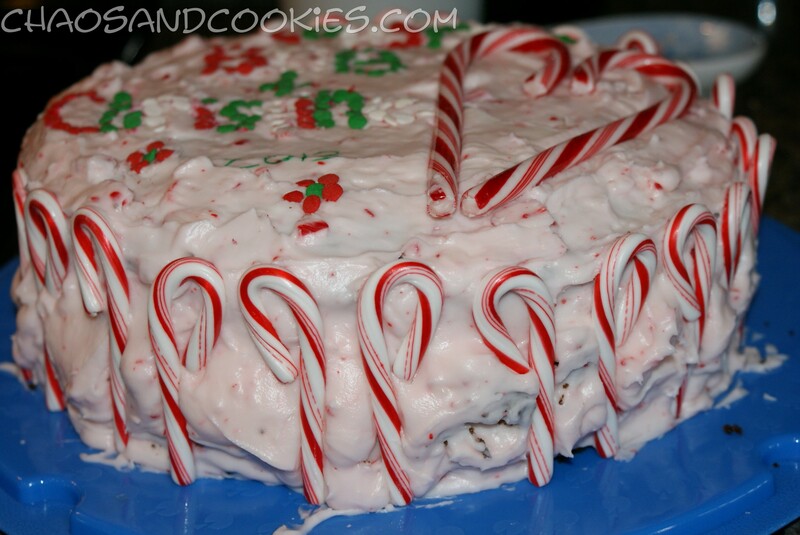 Make sure to decorate right away because the frosting will set in and somewhat harden and once that happens your candy canes and /or sprinkles will not stick well at all. They almost “glue” themselves to the cake when you place them right away, that is what you want! 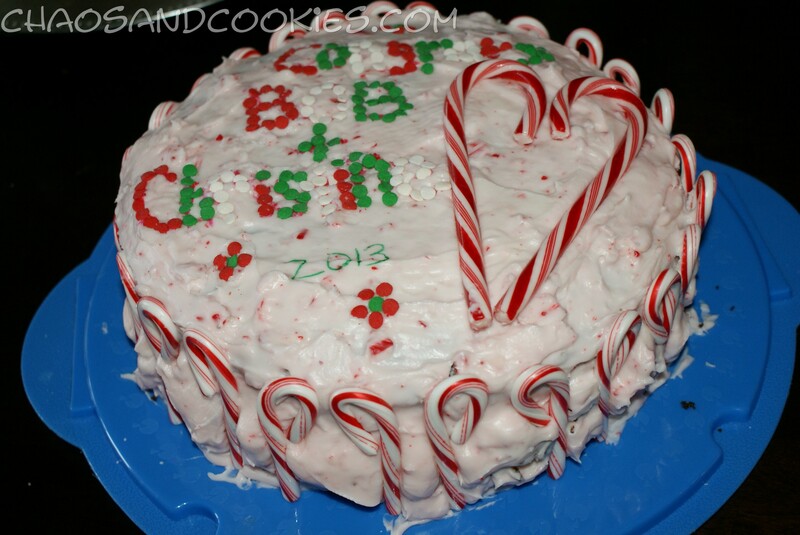 I did the whole perimeter of the cake in mini candy canes, it was just so festive then made the heart for the love birds out of 2 more large candy canes on top. I’m not joking, this cake is freaking amazing! The frosting is freaking amazing. I admit it, I had no control and since cake is my ultimate favorite food in the world, I ate way more than I should have! Thank you Taste of Home for sharing this recipe! This sounds delicious. The amount of cocoa and the addition of coffee would certainly give this a dark flavor I would love. Thank you! 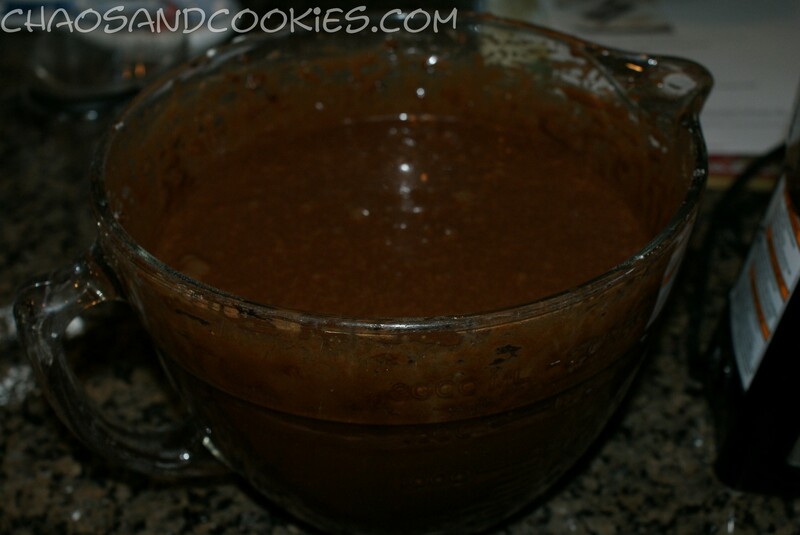 Yes, it was a perfect chocolate mix! Great for chocolate lovers! Thank you for visiting my blog and for the comment! It sure was good! I’m definitely going to try it since I have so many candy canes at home. Also the recipe sounds delicious because I too love moist cakes and can’t stand dry ones! Than you! You won’t regret trying this!!!! Hope you enjoy it!